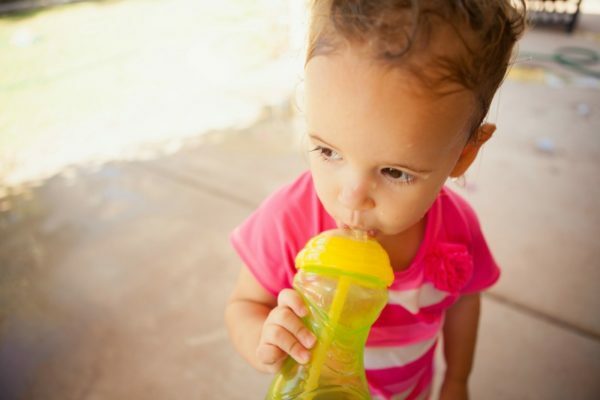 Sippy struggles: Why can't I find a decent water bottle for my toddler?! Sippy struggles: Why can’t I find a decent water bottle for my toddler?! You’d think buying a water bottle for a toddler would be child’s play, right? Wrong! The more kids I have, the harder it gets and it makes zero sense. The sippy struggle is real people! I have a kitchen drawer that is literally overflowing with crappy children’s water bottles. Why? You ask. Because I keep buying them and none of them are any darn good yet I can’t bring myself to chuck them out because, you know, landfill. I also have this desperate notion that miraculously one day some of them might be able to be used, but I know I’m dreaming. Meanwhile, my toddler is still drinking his morning and evening milk out of a baby’s bottle with a teat because I can’t find a decent drinking vessel for him. What on earth has happened to plain, old sippy cups for toddlers? You know the ones that have a beaker-type lid with a gap in the spout so the liquid can come out? You peruse the shelves at stores and there is every fan-dangle type of cup and bottle you can think of but guess what? THEY’RE RUBBISH. I know because I’ve tried them all for my little one. For a while there we had a good run with a cup with handles and a fancy built-in straw. It had a weight on it so it didn’t spill and could also be sipped lying down, but then my son started munching the plastic straw. Now he thinks you drink all straws holding the cup upwards. My latest attempt was another straw-type bottle that looked the part, but once again it was a complete failure. The straw mechanism was so full of sci-fi wizardry that it was impossible for my toddler to get enough suction strength happening – even though it said it was for his age group. Lies! Aside from using baby bottles for drinking milk, when it comes to water, I’m now using the disposable ‘take and toss’ type cups with a lid that has holes in the spout, because it’s the closest thing to what I need for my toddler at the moment. (Why these are designed to be thrown away I have no idea, they can last for years, but that’s another matter). My son doesn’t like them though and finds it a little hard to get the liquid out, plus they leak when tipped over, but hey, a mum’s gotta do what a mum’s gotta do. I just don’t get why finding the perfect sippy cup is such a hard task. This is my third child and I swear there are more options for children’s water bottles now than ever before, yet most of them are useless. And it’s not just the toddler bottles that I struggle with; my older boys don’t like their water bottles either. They’re either too hard for them to open, or they think they smell funny – even though I wash them regularly and thoroughly. So I end up buying new bottles for them as well. Mostly I prefer the stainless steel type, which is better for the environment, however, the straw spout is made from plastic and that’s where the dirt gets trapped. Agh. Anyway, when I find the strength, I’ll finally sort through that drawer where useless water bottles and cups go to die. And maybe one day companies will get the memo and start making simple sippy cups and water bottles again. Until then I reckon it’s time for my lot to start drinking from the tap. Do you struggle with water bottles and cups for your child? Share your best product tips with us on Facebook.